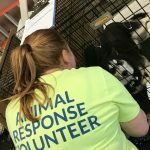 Sunday, March 24 was a great day for families, pets and Kansas State Animal Response Team volunteers at the emergency animal shelter in Troy, KS. 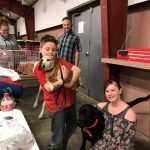 The ultimate reward for a response volunteer is to witness the reunion of a family with their pets after a disaster and that is what Sunday was all about, watching pets and families enthusiastically reconnecting. 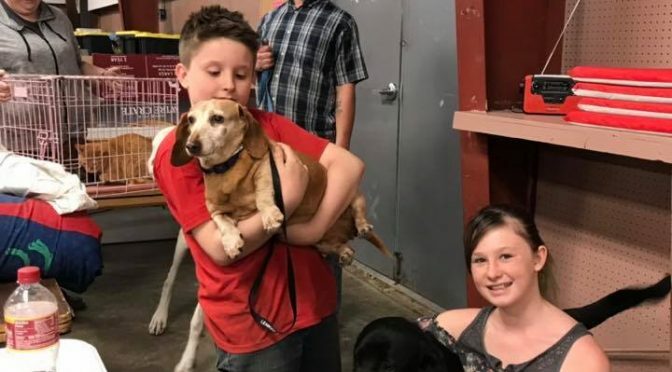 Families were told they could could return to their homes at 9am and shortly after 8am families began arriving to pick up their four-legged family members. By 1pm the shelter was empty. By 4pm volunteers had completed clean up and demobilization. It was as time to reflects and bid fairwell to the communities of Troy, Elwood and Wathena fairwell. 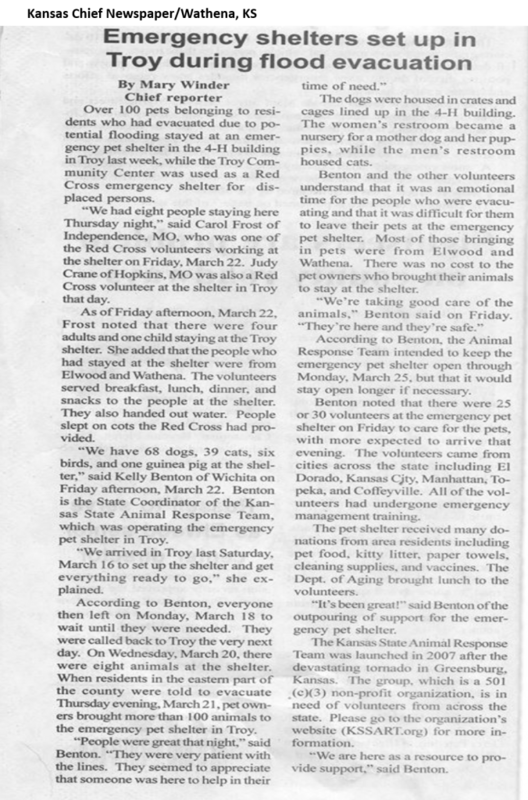 The Kansas State Animal Response Team was honored to serve! The Kansas State Animal Response Team was requested by Doniphan County Emergency Management and Kansas Emergency Management to respond to support the residents of Elwood and nearby Wathena in north east Kansas. 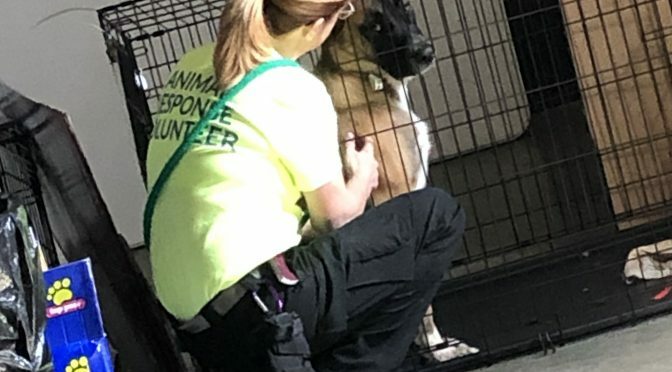 The Kansas State Animal Response Team sent volunteers and equipment trailers to temporary shelter pets at the Doniphan county fairgrounds. The deployment began Saturday, March 16 and completed Sunday, March 24. The team cared for and housed 114 pets which included 68 dogs, 39 cats, 6 birds and 1 guinea pig. Spring: to grow; to arise from; to be resilient; and in Kansas also defined as storm season. What you should know about pets, disasters and the Kansas State Animal Response Team (KS SART)! Growing animal response, the previous Kansas Animal Response Team and regional animal response teams; KC Metro, North East, South Central, South East, and South West have come together as a single, cohesive state team. “The old saying, the whole is greater than the sum of its parts”applies here. Bringing these amazing teams together as one is promising, exciting and necessary to sustain animal response for Kansas” said Ingrid Garrison, DVM, MPH and president of the reorganized Kansas State Animal Response Team. Arising from disaster experience, the federal Pets Evacuation and Transportation Standards Act (PETS) was passed in 2006. This is important to you and your pets because it requires emergency management at the local and state level to address needs for you, your pets and service animals during a major disaster or emergency. 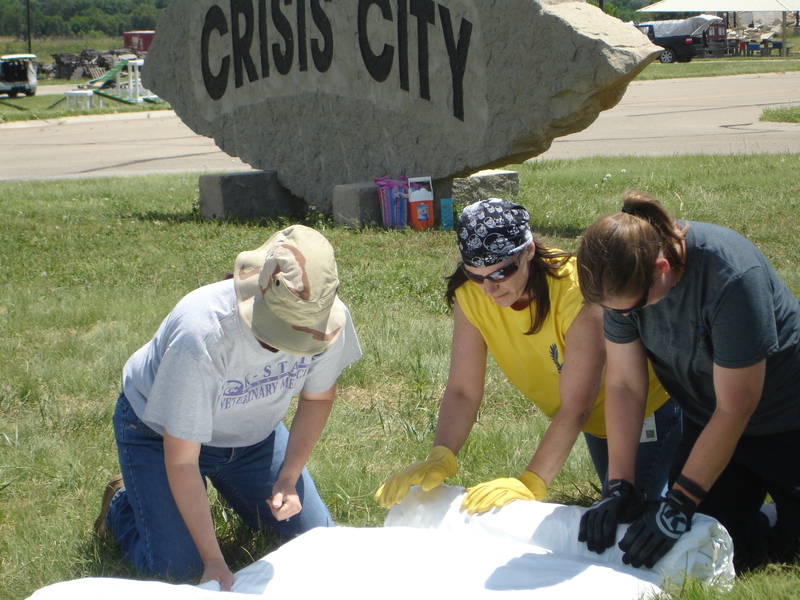 The Kansas State Animal Response Team works with emergency management to advocate for pets through the disaster planning process and responds to assist pets during major disasters. 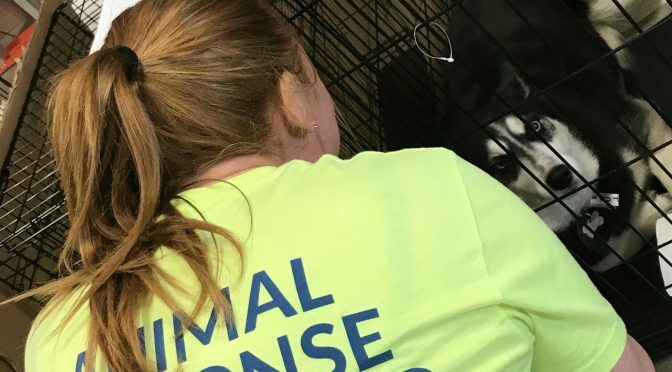 When seasonal storms produce a major disaster, the Kansas State Animal Response Team responds to provide pets comfort and safety in a pet emergency shelter, while their families seek the same in a human emergency shelter. The pet emergency shelter is staffed and operated by trained KS SART volunteers. 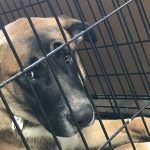 The availability of a temporary pet shelter during a disaster increases the likelihood that pet owners will evacuate to safety when requested or required. 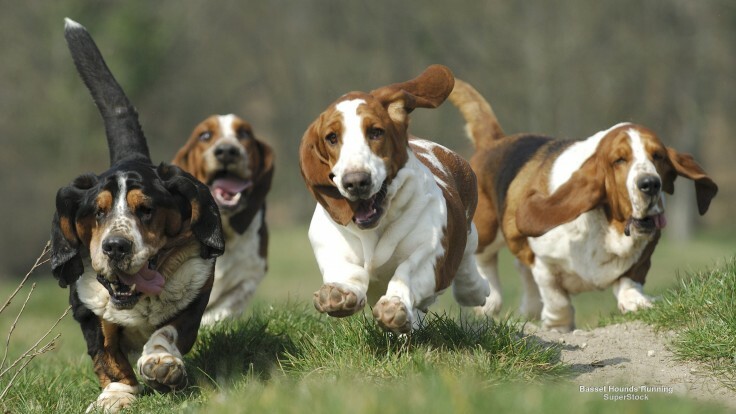 Spring into action, make a plan for yourself and your pet. Encourage friends, family and neighbors to do the same. Find help planning for your pet at My Pet Project: PETS Evacuate Too! Pets with a plan can save lives! The Kansas State Animal Response Team is a non-profit 501(c)(3) organization. 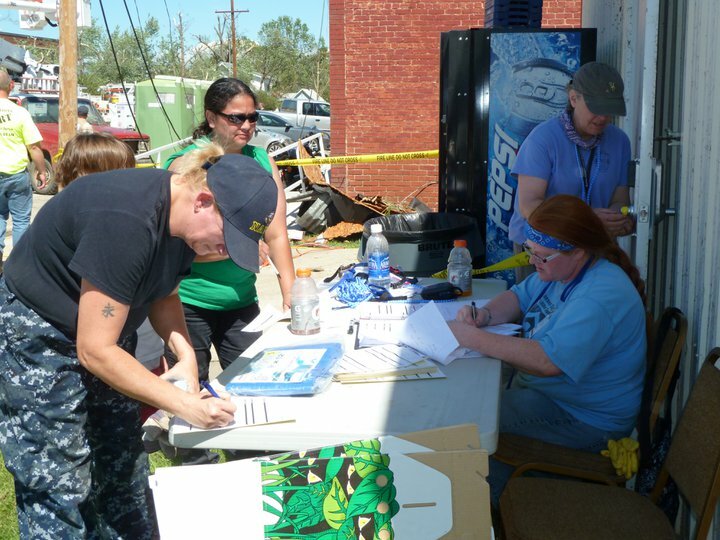 This team accomplishes it’s work through dedicated volunteers, support from other disaster management and response organizations, grants, corporate sponsorships and donations from caring individuals. To make a difference for pets in disasters go to www.kssart.org. 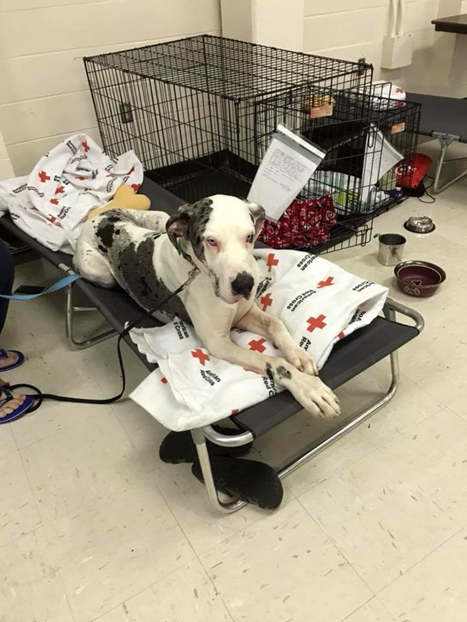 The North East Animal Response Team and the Red Cross partnered to shelter pets and their families in one co-located shelter in Manhattan, Kansas during flooding this September. Mary Prewitt with the Kansas State Animal Response team said this decision was long overdue. “People will cross police lines. 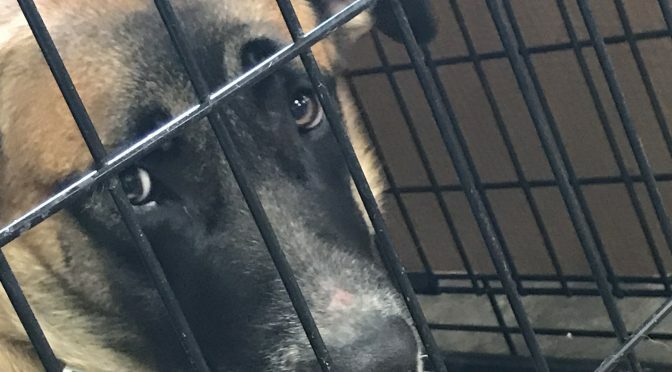 They will put themselves at risk and go back to rescue their pets if you don’t provide for pets at the same time you evacuate the people,” she explained. The Kansas Animal Response Team was recognized by the KC Animal Health Corridor and its partners at the Corridor’s annual Homecoming Dinner in Kansas City on Monday, August 20, 2018. The dinner is an exclusive gathering of animal health industry leaders from around the world to celebrate global industry successes and growth. The Corridor presented KS SART with the 2018 Spirit of Service Award to recognize work in the development of regional animal disaster preparation and response across Kansas. The award came with a $15,000 check and a video about the work. The video, created by the Corridor and premiered at the dinner, will be available to the Team to promote its work in the future. Organizations sponsoring the award were dvm360, Animalytix, and NAVC Publishing. Representing KS SART to receive the award was Mary Prewitt, President; Ingrid Trevino-Garrison, Vide-President and board member Peggy Oertwig. “We are very honored and grateful to receive this award from the Corridor and the sponsors” said Mary Prewitt. Thank you to the interviewees: Dr Christen Skaer, Tammy Ritchie and Nadine Conner. Meteorologists from the National Weather Service office in Wichita have partnered with local Emergency Management to present information that will help prepare storm spotters and weather enthusiasts for the upcoming storm season. The presentations are hosted by local county Emergency Management agencies and typically last up to two hours. They are open to anyone that has an interest in weather. There are no fees to attend, you do not have to register, and you do not have to sign up to be a spotter. So, if you are interested in learning more about severe thunderstorms and their hazards, please take the time to come out and join us for a very interesting and enjoyable evening.